William Thomas McKinley worked on a piece at his home in Reading in the 1980s. William Thomas McKinley composed for the ages, for audiences who attended performances of his pieces and for those not yet born, and he was as expressive with words as he was with the sheets of music he filled at a tireless pace. Mr. McKinley, who taught at New England Conservatory for 23 years and formerly chaired what is now the jazz studies department, died in his sleep Feb. 3 in his Reading home. He was 76 and had seen a doctor for shortness of breath a couple of days before, but was otherwise healthy, said his son Elliott, who teaches music composition and theory at Roger Williams University in Rhode Island. Since childhood Mr. McKinley was drawn to jazz improvisation and the European classical tradition. He embraced both and most everything between during a professional career that was already underway before he joined a musicians’ union at age 11. Throughout his career, he composed music that crumbled the wall between jazz and classical. During part of his New England Conservatory tenure, he played jazz in clubs at night while teaching by day and composing while others slept. In early January 1988, for example, the American Symphony Orchestra performed his music in Carnegie Hall in New York City. The two evenings before, he led the Tom McKinley Group, a jazz quartet, at the New York club Fat Tuesday’s. Born on Dec. 9, 1938, in New Kensington, Pa., northeast of Pittsburgh, Mr. McKinley was the older of two siblings. Though his parents divorced when he was 3, they supported his early interest in music. He began piano lessons at 6 and learned as much by imitating what he heard on the radio. By age10 he was playing with local dance bands and at a dance studio, and the following year he joined the American Federation of Musicians. At a music store in New Kensington, he listened to old 78 recordings of classical composers and to new arrivals from jazz musicians. He wanted to play well in both genres. “This conflict . . . quickly became a major element of stress in Tom’s life and would remain so throughout his college years and beyond,” Jeffrey S. Sposato wrote in “William Thomas McKinley: A Bio-Bibliography,” published in 1995. For his audition at what is now Carnegie Mellon University, Mr. McKinley played pieces by Chopin and Bach. When the jury told him to stop, and he worried he wasn’t doing well, he offered to make up something on the spot. “For the next 15 minutes, Tom improvised in the style of Ravel,” Sposato wrote, and he was accepted as a student. In April 1956 he married Marlene Mildner, whom he had met in their high school chorus. She would later become an English professor at Suffolk University and wrote the text for some of his compositions. While in high school, Mr. McKinley established a routine of sleeping little so he could devote more waking hours to music. In college, he helped cover costs with a schedule that included playing at a jazz club and with the pit orchestra at the Pittsburgh Playhouse. Mr. McKinley graduated in 1960 with a bachelor’s degree in music composition. Nine years later, he received master’s degrees from Yale University in music composition and musicology. 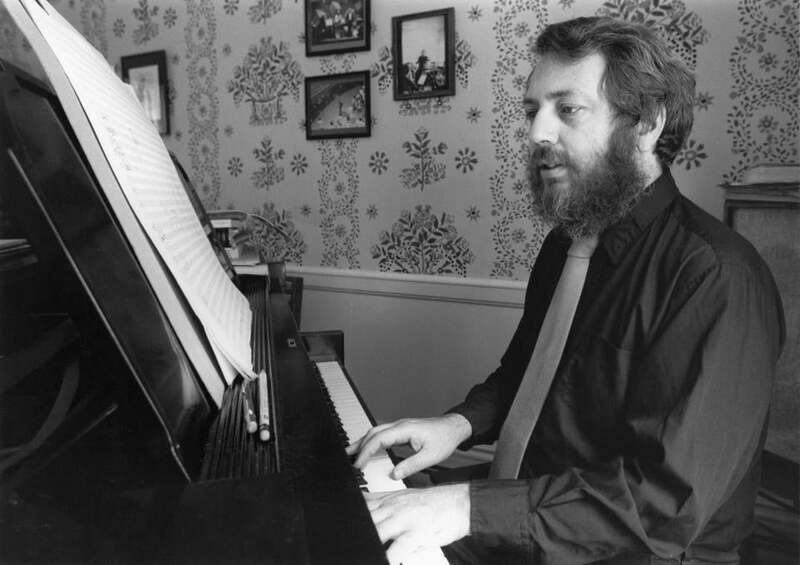 He taught at the University of Chicago before Gunther Schuller brought him to New England Conservatory. Ensembles and orchestras around the world, among them the Boston Symphony Orchestra, the London Symphony, Warsaw Philharmonic, and Chicago Symphony, performed or recorded Mr. McKinley’s music. Among his professional honors were a Guggenheim Fellowship, the Koussevitzky International Recording Award, and an award and citation from what was then called the American Academy and Institute of Arts and Letters. He composed often for Richard Stoltzman, a renowned clarinetist Mr. McKinley met in 1967. “He wrote the music of my life,” Stoltzman said in a tribute Leslie Kandell wrote for musicalamerica.com. A service will be announced for Mr. McKinley, who in addition to his wife and son leaves four other sons, Thomas of Tampa, Derrick of Raleigh, N.C., Jory of Southborough, and Sean of Ridgefield, Conn.; his sister, Karen Ranson of New Kensington; and 12 grandchildren. “My dad really loved life. He was very, very passionate, obviously, about music, but also just about life,” his son Elliott said.